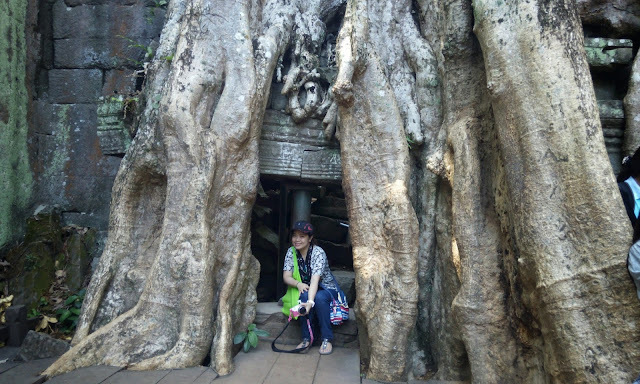 Ta Prohm is a temple within a forest and not as accessible as Angkor Wat and Bayon so the trees and plants grew and grew until it almost swallowed the temple. 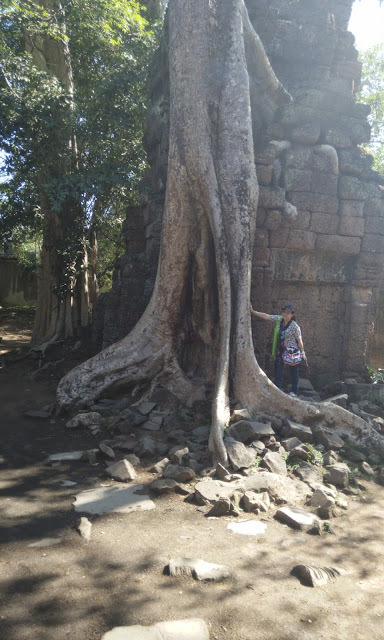 There are several huge trees (maybe Ents?) 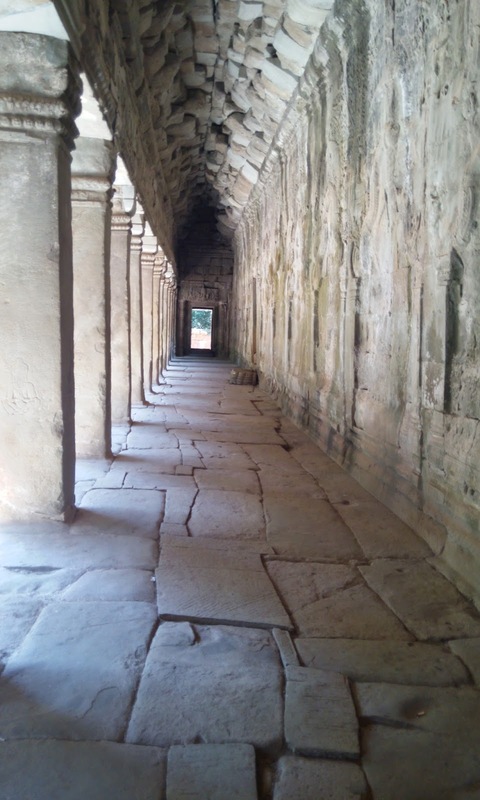 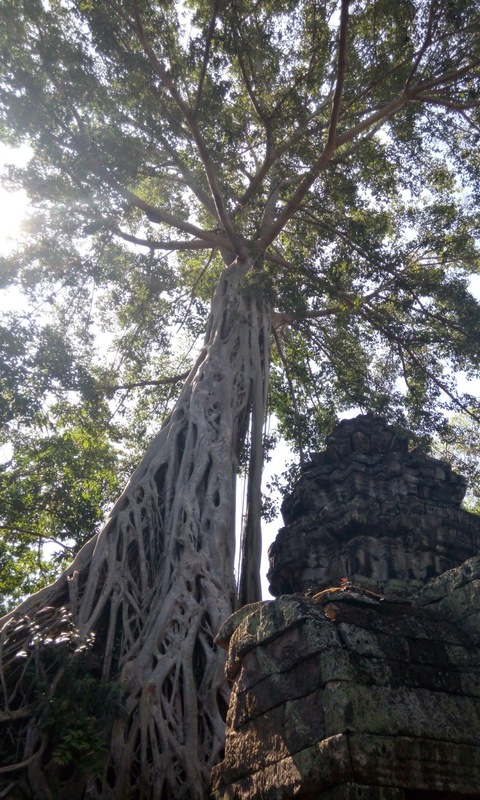 inside Ta Prohm. And since the trees literally swallowed parts of the temple, some parts have metal braces to support the doorway or window from being destroyed. 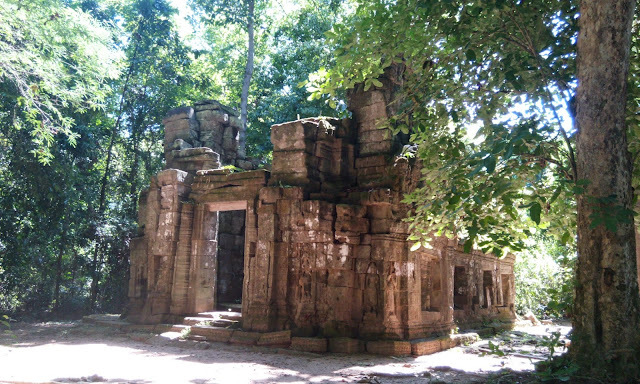 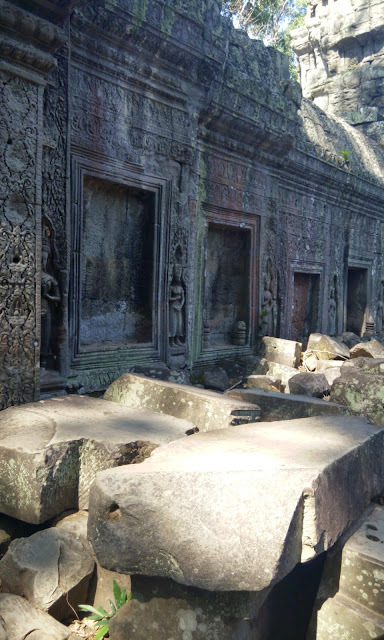 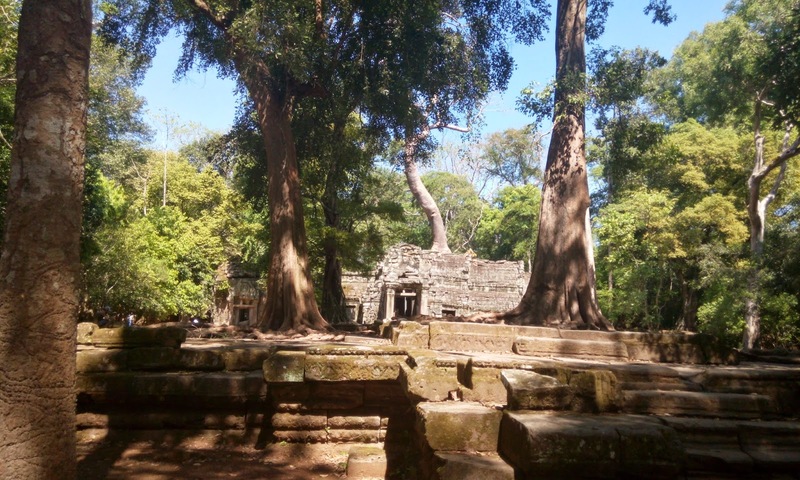 The assigned "restorers" of Ta Prohm (joint project between the Cambodian Government and India) has a dilemma. 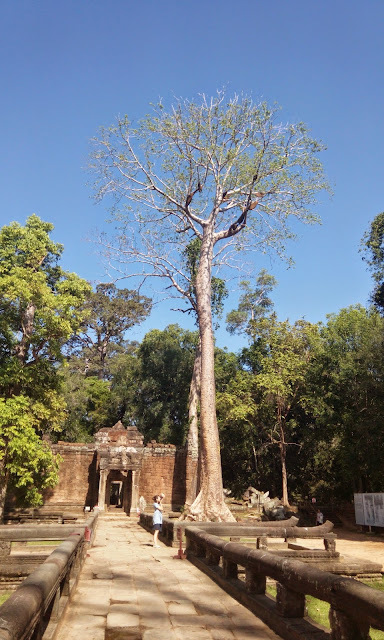 To save the temple, they need to cut away some trees. Or to save the trees, but in doing so- the temple might be ruined in a few more years. 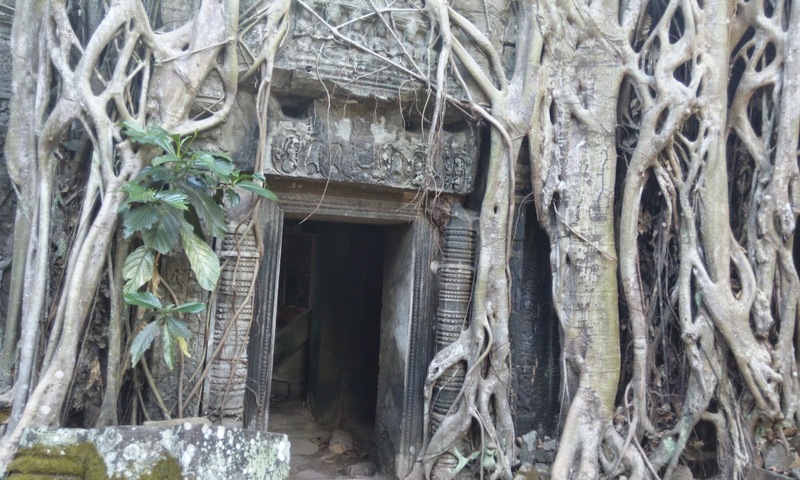 Here's what Ta Prohm looks like from outside. My sister wants to go to Cambodia to see Angkor Wat and Ta Prohm. 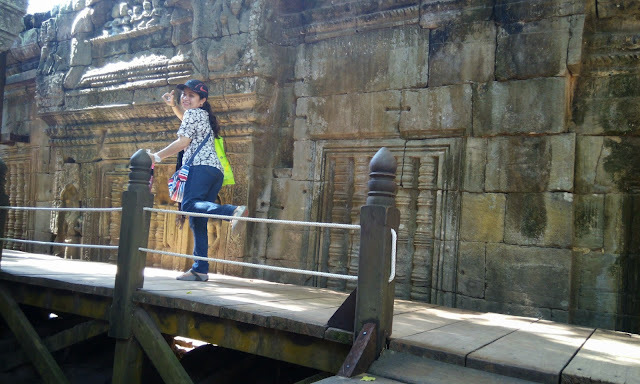 I told her I still have to save up for a budget. Is it expensive?